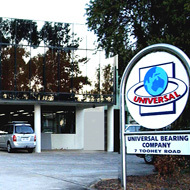 Since 1990 UBC has grown to be one of the biggest independent distributors of bearings and now power transmission products in Australia and the pacific region. We define ourselves in the market as a responsive, reliable and efficient supplier of high quality yet inexpensive products. We specialize in wholesaling to Distributors and OEMs from our warehouses in Sydney, Melbourne and Brisbane. To find a distributor near you, please click on the ‘Distributors’ tab in the navigation bar. Being a market driven company, UBC are constantly reviewing and expanding our product range to meet industry and customer demands. An example of this is our newly added power transmission range that includes chain, sprockets, pulleys, V-belts, couplings and taperlock bushes. Our large stock holding of over 40,000 line items means most orders are filled and shipped on the same day by our staff that is renowned for their commitment and customer service. 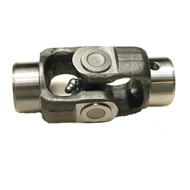 Universal Bearing Company has strong alliances with some of the most progressive manufacturers in China. They are all Quality assured and most of them have joint venture partnerships with well known multi-national companies. Apart from the standard product range, UBC has the ability to custom design bearings by our in house engineers to suit your specific needs. 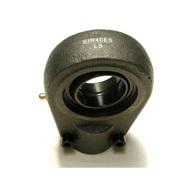 We also supply metal stampings and castings to customer specifications. For more information click on the ‘Manufactured’ tab on the left. At UBC our emphasis on Quality means you will have peace of mind using our products.